Heading quickly to the end of the year, many of you may have not taken your Required Minimum Distributions (RMDs). Hopefully, you will be reminded by your financial advisor to do so soon. You don’t want to miss out on some opportunities to help you avoid costly mistakes and additional taxes. The method for calculating your RMD has not changed in the past few years. It is a specified minimum withdrawal that an account owner must take from their traditional IRAs and other qualified retirement plans beginning with the year the account owner turns 70½. The RMD ensures that retirement account holders, who received a tax deduction and tax deferred growth while saving for retirement, pay a minimum tax over their lifetime. Account holders are responsible for taking this specified amount, or pay a 50 percent penalty on the amount that should have been distributed when due. To calculate the distribution owed, you must determine the aggregate total of all of your qualified accounts (IRA, 403(b), 401(k), TSP, 457 Plan, etc.) as of the previous year’s December 31 value. Roth IRA’s should not be included in this total. You must then determine the correct factor by choosing the correct life-time expectancy table available on the Internal Revenue Service website or 1040 tax filing instruction booklet. You only have two choices: single owner/spouse no more than 10 years younger (Uniform Lifetime Table) or single owner/spouse more than 10 years younger (Joint and Last Survivor Table). You simply add the aggregate total of all qualified accounts and divide by the factor as indicated in the table. This distribution may be taken from any account you choose as long as it is equal to, or greater, than the RMD amount. Any systematic distributions from your IRA may have already satisfied this minimum amount. There are a few special considerations regarding RMDs as well. You may choose to take your first distribution by April 1 of the year following the year you attain age 70½. If you had earned income in the year that you turn 70½, it may make sense to push your distribution into the next year if you expect your income to be less in the next year. However, you will have to take another distribution by December 31 the following year as well. So, you must account for that when making your decision. Because all RMDs are taxed as ordinary income, taking two distributions in the same year could bump your taxable income into a higher tax bracket. It also could increase the amount of tax assessed on your Social Security benefits. What many people don’t realize until they are forced to take RMDs is that up to 85 percent of your Social Security benefits may be added as income for tax purposes if your provisional income (modified adjusted gross income) exceeds certain limitations. There is one other exception to the RMD rule that is rarely discussed. If you are over 70½ and are still employed, you may be exempt from including the assets in your current employer’s plan in the aggregate total when calculating the RMD. It is this exception that allows employees to still contribute to their retirement plans if they are 70½. You are still responsible for taking a RMD each year, but not from the retirement plan in which you are still a participant, just the qualified assets outside of your retirement plan. Participants should check their plan documents some plan sponsors may require RMD’s despite this exception. It is also important to remember that RMD’s must be taken separately from assets housed in IRA’s versus those still housed in employer-sponsored plans. The last exception to the rule is relatively new, and is focused on those retirees that have philanthropic aspirations. The PATH Act of 2015 (Protecting Americans from Tax Hikes) makes QCDs (Qualified Charitable Distributions) permanent. This allows an individual 70½ or older to exclude from their gross income up to $100,000 that is distributed directly from their IRA (excluding SEP or Simple IRAs) to a qualified charitable organization, while still counting the amount as part of their RMD. 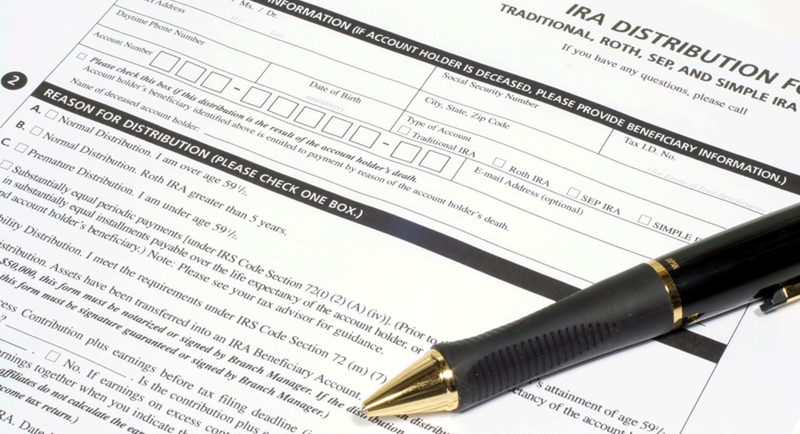 The IRA trustee must make the distribution directly to the organization and the donor can’t place restrictions on proceeds paid to the organization. The Indiana Retired Teachers Foundation is a qualified charitable organization that may receive these distributions from your IRA trustee. What a great way to support future educators, today’s educators and our retired educators that have had a hardship and need some help through the IRTF. Though it is rarely advantageous to make investment decisions based on the avoidance of taxation, sensitivity to taxes makes good sense. We encourage you to meet with your financial advisor annually to review topics such as RMDs.